Guy: 2010-2018 Super Lawyers, 2008 Rising Stars; 2003, 2010-2015 Top Attorney in Fort Worth, Fort Worth, Texas Magazine. 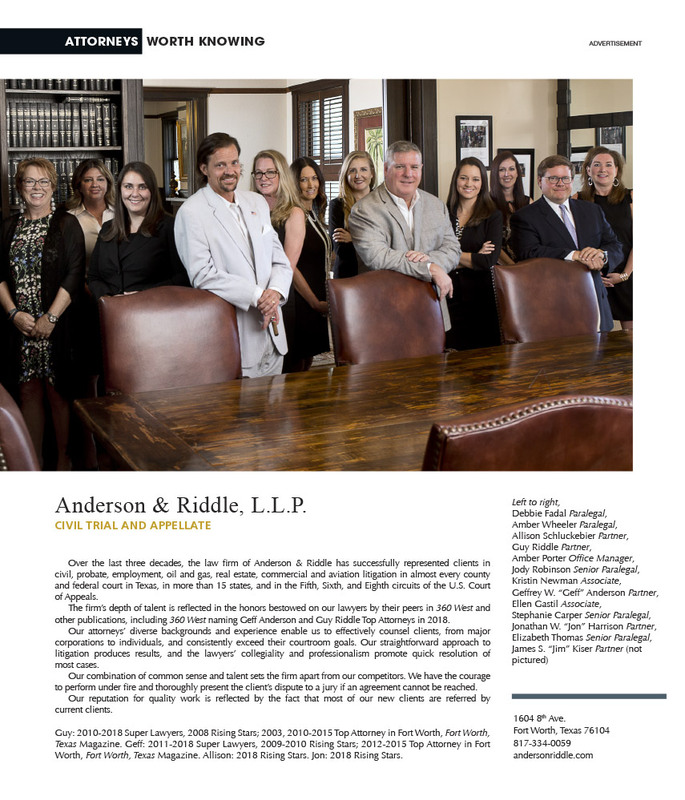 Geff: 2011-2018 Super Lawyers, 2009-2010 Rising Stars; 2012-2015 Top Attorney in Fort Worth, Fort Worth, Texas Magazine. Allison: 2018 Rising Stars. Jon: 2018 Rising Stars.